After so many years, the name of Salman Rushdie still evokes such reactions. I soon learnt that many venues for the Rushdie-Mehta evening were unavailable because this is a busy time of the year. And venues which were available, suddenly remembered promised bookings the moment Rushdie’s name was mentioned. However, I knew I could count on the National Centre for Performing Arts (NCPA), though even that wasn’t free of tense moments. On the morning of the event one of the senior functionaries of the NCPA asked me, “Is Rushdie going to be here in person? Oh my God, I hope there won’t be any trouble.” And in person Rushdie came, and no, there was no trouble, except for the fact that more people were left out than could be accommodated in NCPA’s Little Theatre. 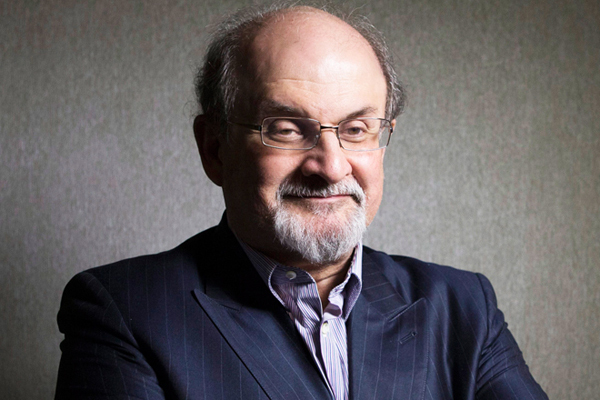 Salman Rushdie is looking better then we have seen him on television and in the papers – his skin now has a glow, and the hooded eyes are no longer hooded. He is as witty in person as he is in his books, and as most people remarked, there is now a rather relaxed maturity about him. 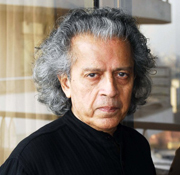 He was there on the stage with Deepa Mehta, David Hamilton and some of the cast of the film (notably Rajat Kapoor and Rahul Bose). Deepa and he spoke at length, and most interestingly, about the virtually impossible task of converting Midnight’s Children from a sprawling, unwieldy book which veers from plot to sub-plot to sub-plot, into the more coherent, straight-forward narrative needed for a film. It was generally agreed that this wouldn’t have happened if Rushdie himself hadn’t been involved in the scripting. Apparently, in spite of that, the first draft was so long that we would have had a 5-hour film. It took Rushdie a year’s work to pare the script down, scene by scene, to its present, more manageable length. The other book (Satanic Verses), though, still keeps being thrown at Rushdie. Just when we finished the Rushdie-Mehta chat, and the writer was waiting to sign his books, a call from Kolkata announced that Mamta Banerjee had told Rushdie not to come to Bengal. Deepa Mehta decided that, in protest, she wouldn’t go either. The forces of darkness had won again. They struck at Ashis Nandy in Jaipur, at Kamal Hassan in Chennai, and now Salman Rushdie in Kolkata. That’s North, South and East of our country. Somehow in the West, in our little corner at the Little Theatre, we had escaped the Dark Forces for one shining evening. But none of us had any illusions: we had been just lucky. The Dark Forces would strike again.